The Lighthouse and the Whaler hail from Cleveland, Ohio, a city infused with entrepreneurial spirit. It’s the birthplace of Superman, where a chocolate maker dreamt up LifeSavers candy, and the place responsible for the invention of alkaline batteries and golf balls. It’s no wonder, then, that the members of the band — Michael LoPresti, Matthew LoPresti, Mark Porostosky Jr., and Ryan Walker — have embraced their hometown’s DIY spirit and taken it to heart. Since self-releasing their first two albums (2009’s The Lighthouse and the Whaler, 2012’s This Is An Adventure), the band has made a name for itself internationally, moving from coffee shop tours to renowned venues. In the process, The Lighthouse and the Whaler has grown from a folk-leaning group into a fully-realized band that blurs genres and continues to reinvent. The results of this tireless pavement-pounding and soul-searching speak for themselves: millions of streams for the then-unsigned band’s songs “Pioneers” and “Venice,” and tours with artists like Ra Ra Riot, Matt Pond PA, and Jukebox The Ghost. 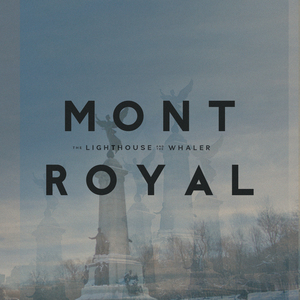 This momentum continues with Mont Royal, The Lighthouse and the Whaler’s debut album for Roll Call Records (Typhoon, Geographer, ON AN ON). Building on the promise of 2014’s “Venice” remix EP, the album is burnished by atmospheric electronic shimmers, from the plush synth trills of “In the Open” to the wistful-sounding, ’80s alt-pop keyboards throughout “Senses.” However, Mont Royal is also marked by spacious arrangements and meticulous instrumentation, from the insistent electric guitars piercing “Under” to the graceful string melody leaping through “We Aren’t Who We Thought We Were.” This range proves The Lighthouse and the Whaler aren’t easily pigeonholed, particularly given the inspirations they’ve found in M83’s cinematic soundscapes, the crisp pop of Vampire Weekend, the percussive harmonics of Local Natives, Broken Social Scene’s sonic adventurousness, and the taut Britpop pogos of Two Door Cinema Club. When not in the studio, the band soaked up Montreal’s culture: sharing an apartment downtown, learning French, and exploring its restaurants. 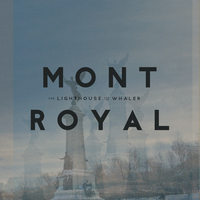 The entire experience and environment was so profound that, at the suggestion of Mark, they decided to title the record after the street on which they lived (which also happens to be the name of Montreal’s namesake mini-mountain). Of course, for the ever-striving members of The Lighthouse and the Whaler, settling into roles doesn’t mean they’re resorting to routine or resting on their laurels. And maturity doesn’t preclude having fun–as anyone who has seen Ryan’s stand-up comedy on certain tour dates can attest — the band is no stuffy indie-rock troupe. What they are, however, is a group ready for whatever’s thrown at them–including (and especially) bigger audiences and even more success.